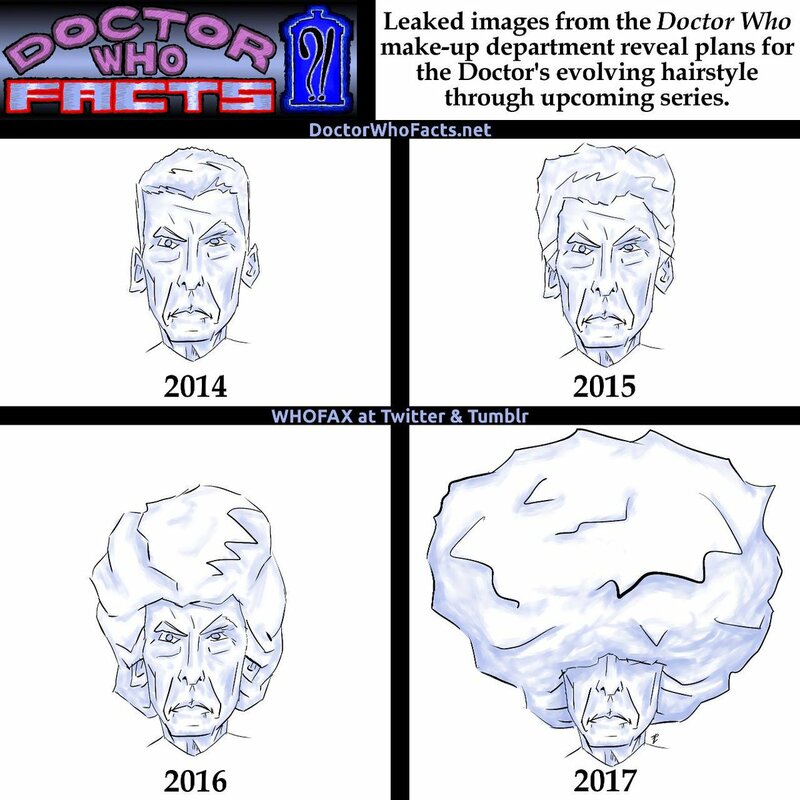 Rob Vincent dot net » Doctor Who Facts! Twitter! — Tumblr! — RSS! Doctor Who Facts! (also known as WHOFAX) is a popular comedy project I write and illustrate over on Twitter and Tumblr. It's a feed of satirical comedy "facts" about Doctor Who, my longtime favorite scifi TV franchise, and its cast, crew, history, culture, fandom and more. Nothing and no one in the Whoniverse is safe from being lied about by WHOFAX! It started back in 2010 as a little Twitter joke I shared with a few friends in fandom, and I focused mainly on cracking them up. Pretty soon, it began to get noticed and followed by others. It gathered momentum and eventually became well-known among online fans, with mentions in forums, fan media, and even the official Doctor Who Magazine. It's gotten kudos from fans, journalists, and even Doctor Who cast and crew members who've been wonderfully good sports about it. Nowadays it's got over 21,000 readers, hundreds of retweets, reblogs, and shares, it's gone from being solely text-based to illustrated, and it all just gets more fun to do the longer I do it. Podcasters! Fanzine writers! I'd love to chat with you about this project sometime, please feel free to get in touch! Here's a look at the most recent @WHOFAX tweets. For a differently-explorable look at the WHOFAX archives, check out the WHOFAX Tumblr where everything is tagged and categorized. 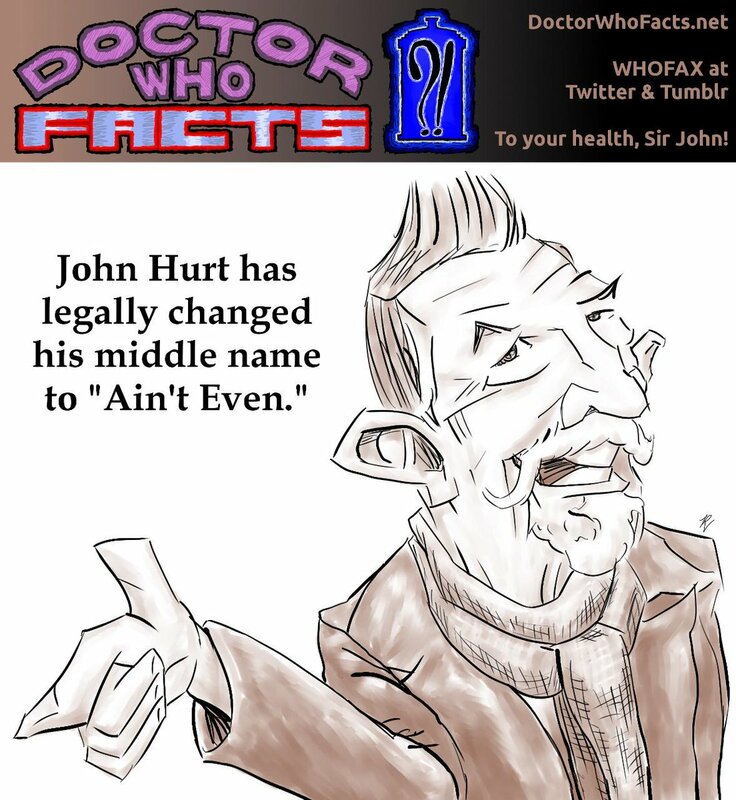 100% accurately made-up facts spanning Doctor Who history, written & drawn by @rob_t_firefly. -- Also on Tumblr & RSS at http://t.co/nAduen72ah . Thoughts and opinions I express on this website are my own, and don't necessarily represent those of associates, colleagues, or kittens.